Last week, I read N. T. Wright’s Holy Communion for Amateurs. It’s meant to basic introduction to the Lord’s Supper, but it covers a lot of ground in a helpful and very readable way. There are certainly spots at which one might quibble. My friends who’ve studied liturgics more than I have might question the liturgical order Wright presents toward the end of the book, for instance. I’m surprised that Wright didn’t include anything about the efficacy of prophetic symbolic action (e.g., Ezekiel beseiges a clay tablet he calls “Jerusalem” and the city itself is beseiged), since that’s something Wright discusses elsewhere. But I appreciated what Wright did include. Now I’m wondering whether Wright’s forthcoming The Meal Jesus Gave Us is the same book with a different title or perhaps a larger work on the same subject. The other book I read last week was Tim Power’s Dinner at Deviant’s Palace, a fairly light bit of science-fiction, set in a future California (Irvine, Venice, and Ellay). Powers’ presentation of the seductive power of evil is okay, but a little clunky in places. Still it was an enjoyable read. A Beautiful Mind does not offer a thoroughly Christian perspective; John Nash triumphs by purely human effort. There is no mention of God, church, Scripture, clergy, sacrament or any other source of spiritual strength or healing known in Christian tradition. But what Mind does do is offer a realistic portrayal of one of the most difficult challenges facing humankind and the hope that that challenge can be faced and, if not conquered, at least neutralized. And the film does so with excellence and grace, reward enough for a viewing. The clue to the meaning of baptism is to be found in the baptism of Jesus Himself at the hands of John. As was noted by many sixteenth-century exegetes, all the persons of the Trinity are present and active at this baptism. The Father speaks the word of election from heaven, acknowledging Jesus as the elected Son. Baptism is thus a sacrament of the covenant of election. The Son is the One baptized, accepting the baptism of repentance, and thus entering the way of identification with sinners which was to reach its climax in His obedient self-offering on the cross. Baptism is thus a sacrament of the fulfillment of the covenant in the substitutionary death and resurrection of the incarnate Son. The Holy Spirit is the One who descends upon the Son, empowering Him for the ministry upon which He enters. Baptism is thus a sacrament of the outpouring of the Holy Ghost (p. 21). Bromiley goes on to say that baptism indicates to us that our salvation is not grounded in our own decision, but in the Father’s loving choice of us, that it rests on the finished work of the Son, and that now, by the Holy Spirit, we are “called and claimed for the new life effected in Christ” (p. 22). To my mind, this section on baptism was the most interesting part of the book and I won’t be done thinking about it for quite a while. Today was the first full-length day off I’ve had in quite a while. But before I talk about today, I have to back up to last night. I had supper with a couple from the congregation. At about 9:30, I stopped by Hugo’s where a friend of mine, Aron Bird, was playing. It was the first time I’d been to Hugo’s. It’s not a bad little place, though it was rather smoky. No Guinness on tap, but I did get a McNally’s, which was quite nice. Aron plays bass guitar in a jazz trio which includes a guitarist and a trombonist as well. A trombone trio isn’t all that common, I suspect, but the trombonist was very good. I didn’t get home till after midnight. This morning, I drove up to Calgary, about two hours northwest of here. I’m planning to spend part of my vacation in the States, and though a passport isn’t a must yet for entering the States, it’s a pretty strong should. To cut down the time it would take to get the passport, I decided to go to Calgary and submit my information in person, which is supposed to cut the processing time in half. “Be prepared to wait for hours there,” people told me, so I took along Graham Greene’s England Made Me. I waited for only about an hour before my number was called. Everything was progressing smoothly until … “You have a passport already,” the lady said. I’d forgotten all about it when I filled in the passport information. Back in 1998, I was supposed to go to the Ukraine to teach at a seminary, filling in for Ray Sikkema, who couldn’t go because of heart trouble. I’d gone through the process to get a passport but then hadn’t needed to use it. Rev. Sikkema was doing better and he decided to go himself. I hadn’t thought about the passport since. I quickly called my parents’ place, which is where I’d been living in 1998 while waiting for a call to a church, and my mother found it. I’ll pick it up when I’m there in June. Still, the day wasn’t entirely wasted. I stopped off at Pilgrim Books, a Christian used book store, where I picked up a few books — nothing too significant, though it was nice to find a Lutheran Church of America Service Book and Hymnal (1958 edition) for $2.00. Jeff Meyers recommends that one in The Lord’s Service. While I was there, I overheard a guy tell his friend that he felt guilty buying books when he had other books at home that he hadn’t read yet. The friend seemed to agree. Maybe decades of book buying have hardened me, but what they were describing was completely outside my experience. My parents’ house was full of unread books when I grew up, as my house is right now. And which commandment did they think they’d be breaking anyway? For the rest of the day, I browsed. I sat in Chapters and read a bit. I listened to parts of Pedro the Lion‘s It’s Hard to Find a Friend at A&B Sound. I especially liked the understated but allusive “Of Minor Prophets and Their Prostitute Wives.” The link will take you to the lyrics. For supper, I had spinach and feta cheese lasagne and then headed back to Lethbridge. I arrived back at about 9:30. Now I’m quite tired — not enough sleep last night — and so I’m gonna drink some tea, read a little more Graham Greene, and go to bed. First, relationalism. We Calvinists don’t have a great track record in getting along with each other. I’m convinced that the prime (though not only) reason for this sin (for that is what it is) is a lopsided “doctrinalism.” We Calvinists are aficionados of sound doctrine and precise theology, but we’re often less interested in sound love and precise longsuffering. This often comports with an unhealthy abstractionism, according to which doctrine and theology are seen to be divine propositions that sort of float along on the air to be snagged by a few brainy Calvinists. And only those whose intellectual nets have captured these propositions are worthy of our love (if we have any) and fellowship (if we can even maintain it). We’ve forgotten that the unconverted world will not know us by our sound doctrine (about which they care nothing) but by our love (Jn. 13:35). If love is not a central feature of Calvinism, then Calvinism is a false religion (1 Cor. 13:1). Our evangelical and other non-Reformed brothers are often much better at this than we are, and this is one reason (not the only reason) that their churches tend to be five to 10 times the size of our churches, and why those same churches are often bathed with love and joy and peace and kindness, while ours are filled with pride, suspicion, anxiety, and vindictiveness. Surely, here we can learn from our evangelical brothers, no matter how firmly we may disagree with them. Spurgeon said to a Methodist critic, “If I ever find myself smoking to excess, I promise I shall quit entirely.””What would you call smoking to excess?” the man asked. “Why, smoking two cigars at the same time!” was the answer. 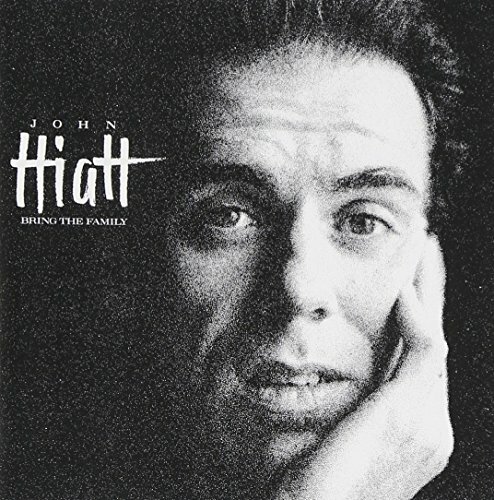 The other day, I put John Hiatt’s Bring the Family into the CD player in my car, and I’ve been listening to it yesterday and today. It’s been a few years since I heard it last. I’d forgotten how good it is. Just Hiatt on guitar, Ry Cooder on lead, Nick Lowe on bass, and Jim Keltner on drums — and a bunch of good songs with quirky lyrics (who else would rhyme “amoeba” with “Queen of Sheba”?). This looks interesting: Mark Horne has started a new discussion/blog called Tuttle on Wright. “What is it?” you ask. It’s a discussion of N. T. Wright’s Jesus and the Victory of God which Mark is conducting with several young men from the town of Tuttle. Gene Wolfe has taken science fiction to its highest artistic pitch, transcending genre, creating a literary monument unlike any other. He is sf’s greatest novelist, and overall one of America’s finest; he may at times be obscure in his writing [you’re not kidding! ], but his public obscurity is wholly undeserved. Modernist or postmodernist, formal allegorist or anatomist of the deepest complexities of the human soul, he is a wonder, yes, a genius, with a crooked lupine smile. In related news, I’m nearly finished reading Wolfe’s Book of the New Sun. Jeff Meyers, pastor of Providence Presbyterian Reformed Church (PCA) in St. Louis, recently posted a number of his articles here. Several of the papers look very good. For instance, check out “Some Prima Facie Arguments for the Trinity as the Image of Renewed Sociality in the Church.” Not the catchiest title, but a profound thesis. Meyers argues that “the way that God lives eternally as Father, Son, and Holy Spirit function as the paradigm for human community.” I’m looking forward to reading these papers! Tonight, I watched Wit, starring Emma Thompson. It was deeply moving, often brutal, sometimes beautiful. It illuminates the emptiness of a life lived in the pursuit of knowledge alone, the necessity of self-giving love (expressed through touch as well as words), and the comfort of belonging to a God who is with you wherever you are. I’m grateful that in God’s grace He continues to provide nurses who humble themselves to care for others. This movie ought to be mandatory viewing for anyone thinking of entering the ministry. When Baz Luhrmann’s new film musical, Moulin Rouge, opened last year, Twentieth Century/Fox tried ever so hard to pitch it as a feast of skanky perversity, but the film itself is about the triumph of purity, a wild purity that seduces the stiffest of hearts. Indeed it begins by explicitly telling us that it is about love. That may sound safely generic, but in fact the entire story is engaged in distinguishing among different types and levels and transformations of love — vulgar, selfish, kind, and that love which proves so magical it extinguishes the lurid lights of the Moulin. The review makes me want to watch the movie again!